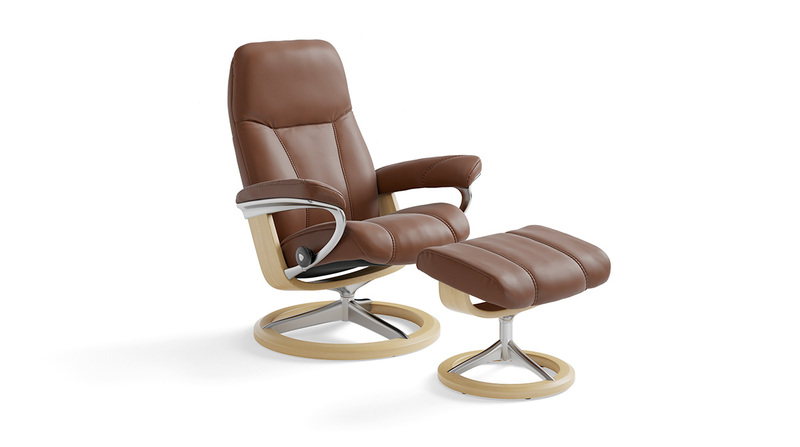 Ekornes is a Norwegian company that has been at the epicentre of Norwegian industry for 80 years. 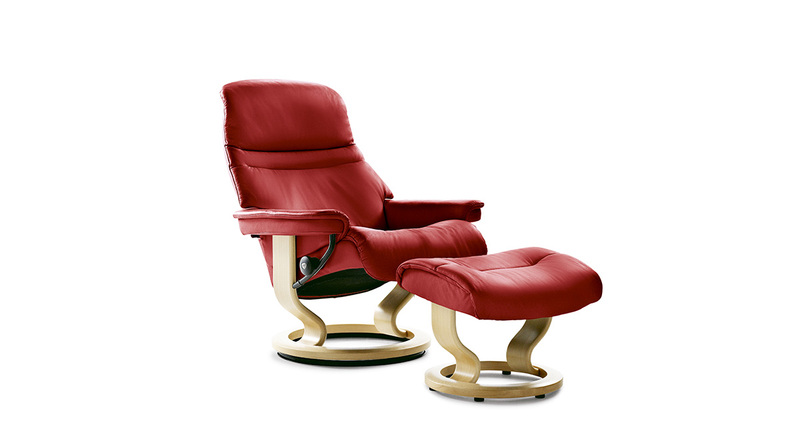 In the little town of Sykkylven, the company’s founder, Jens Ekornes – with the help of expert engineers of the art of comfort – combined practical know-how with functional design to create furniture perfectly designed for the body, and ended up designing the most comfortable chairs in the world. 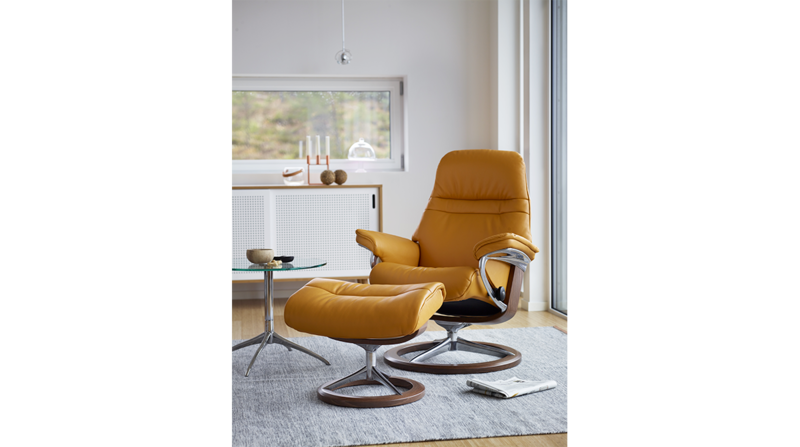 At Ekornes, working for a greener world is much more than a simple requirement, it is a way of life, because respecting the environment means appreciating the Norwegian heritage and preserving Norwegians’ culture. Beginning with a core made from hard European beech, the woodworkers create sturdy bases with elegant curves and a distinctive swivel ring. Atop this solid base sits a complex system of springs, foam, and a continuous steel bar that supports the entire structure. The foam is arranged in layers, to create a softer chair that adapts as much as possible to different postural needs. 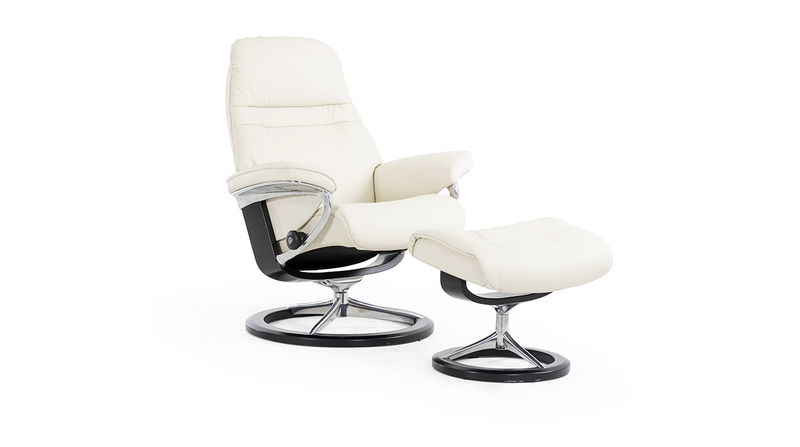 The Stressless glide system ascertains body shape and weight in order to assume a natural contour that can be changed to suit individual posture. The Plus™ system, a functional “skeleton” made of springs, reads the movements of the body as soon as the person sitting changes position, in order to offer greater lumbar support. Lie back in your recliner and you will feel your spine sink down into it, while you still continue to be fully supported. 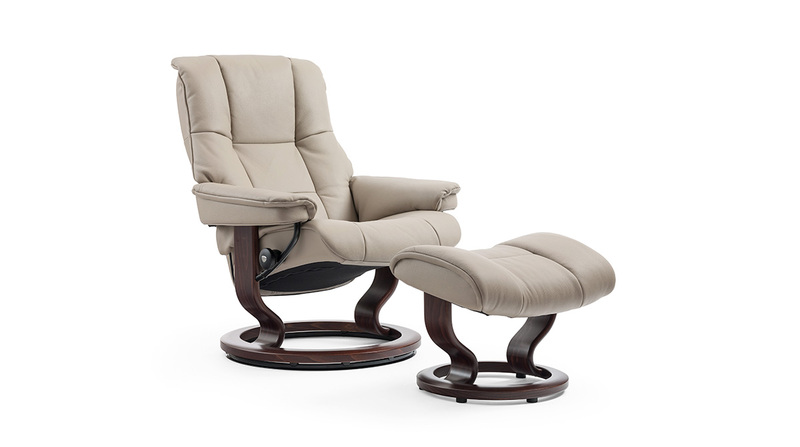 The unique headrest function will continue to support your head in an upright position, providing your body with the optimal contour for the utmost in relaxation. 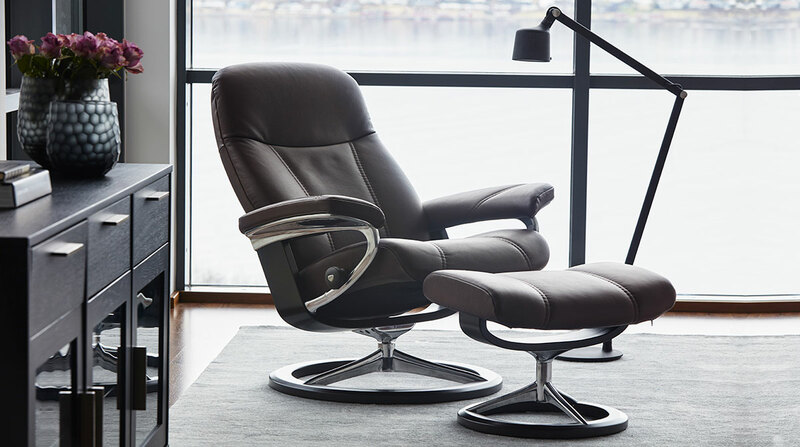 A simple adjustment lowers the headrest into a comfortable flat position, the ideal for a nap. Complete freedom of movement is the key to true comfort. 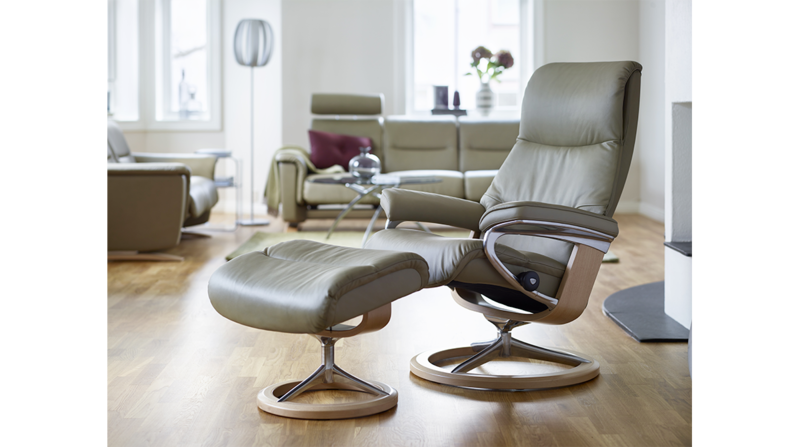 Ekornes armchairs are available in 3 sizes – S, M, L – depending on the height and size of the individual. 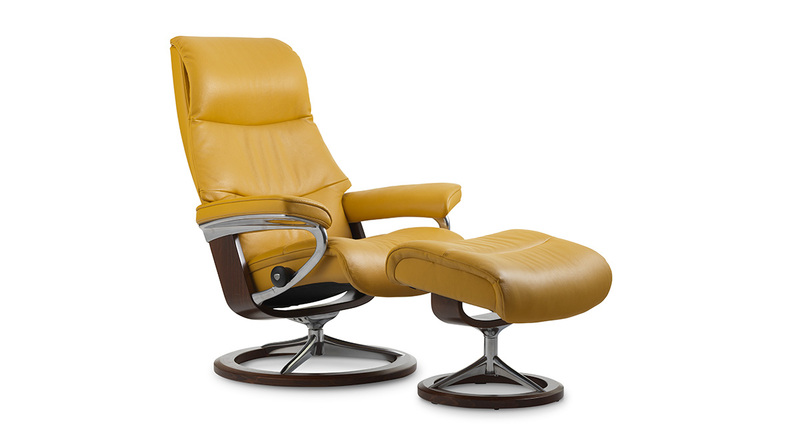 Upholstered in fabric or in leather, they are available in a variety of models, with design ranging from the more classic to the more contemporary, for every sort of taste.